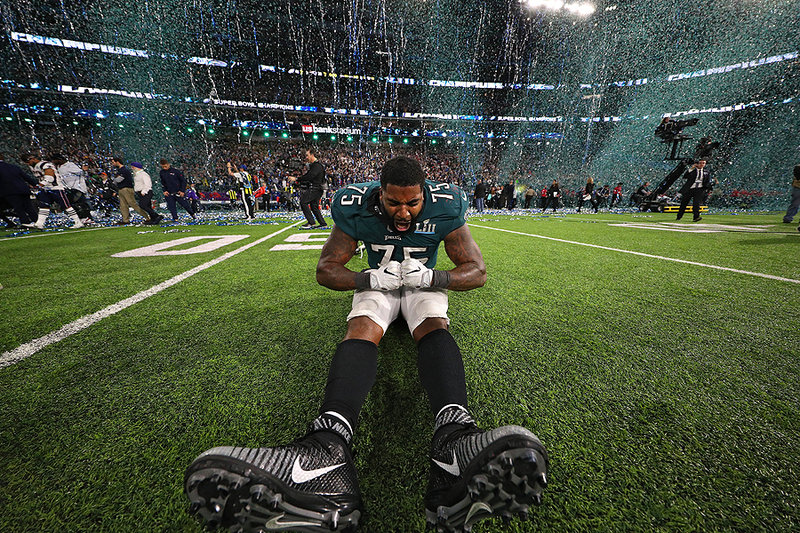 "Vinny Curry #75 of the Philadelphia Eagles celebrates after defeating the New England Patriots, 41-33, in Super Bowl LII at U.S. Bank Stadium on February 4, 2018 in Minneapolis, Minnesota." There is always a lot of hype around the Super Bowl - so much that even photographers can feel the pressure. However, I always say to others, that after pregame and the first couple of minutes, it starts to feel like just another game. While there is still that heightened sense of importance to stay focused, much like all sporting events, one cannot fall victim to being wrapped up in the emotion of the game.